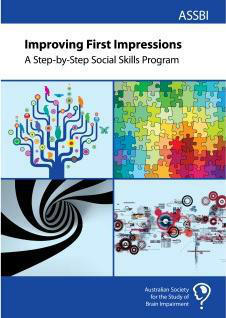 This manual provides clear, step by step sessions for improving a range of social skills, e.g. making introductions, being assertive, starting a conversation. Uses well established behavioural approaches suitable for people with cognitive impairment. Although this manual was developed specifically for people with severe traumatic brain injuries, the techniques are generic, arising from a vast social skills literature. This manual was, however, specifically tailored for people with cognitive impairments, especially difficulties with new learning and executive control. Consequently, the manual encompasses a great deal of repetition and structure in order to maximise learning and minimise reliance upon complex cognitive strategies. Because of this, the manual has wider applications for people with any kind of clinical conditions that results in cognitive impairment, including mild intellectual disabilities, learning disabilities, schizophrenia, autism and Asperger syndrome.